It's hard to believe that we've already been living full-time in our motorhome for 3 months! The time has flown by and we've learned a lot in a short amount of time. In this video, we share 10 things that we have learned so far in our full-time RV life. Weather can change quickly, be prepared to adapt! Since we hit the road, we've had a few blue sky days, but we've had a lot of rainy, cold and very windy days and nights. Sometimes we end up pulling our big slide in to keep the slide toppers from getting whipped about by the wind, and other days the weather clears up for beautiful evenings. It's important to pay attention! Less is more. We spent 2 solid months downsizing and organizing before we hit the road. But we've continued downsizing as we've traveled. Less stuff = more room to move about. Time doesn't slow down, days fly by. 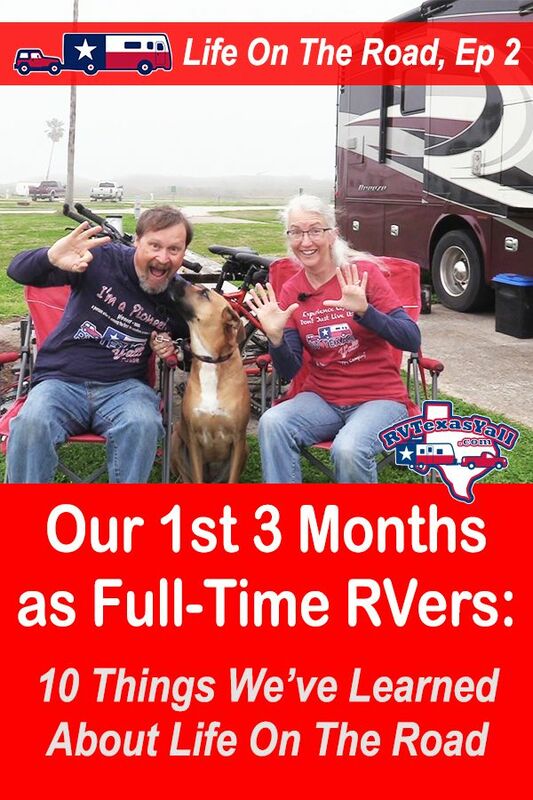 We really thought that when we became full-time RVers, days would pass more slowly. That is definitely not the case, at least so far! Campsite length limits aren't always what they seem. We wanted to book a site in a county park, but the only site that was available was listed as a 30' maximum length. Our motorhome is 31.5' long. We called and spoke with the park's office and were told that we should easily fit into the site. Sure enough, we were able to back into the site with our wheels on the pavement and our tail hanging over the grass. We even fit the Jeep in the site. So always call and ask before you give up on a campground. Everything needs a place. This is SO important when you are living in a small space. We are learning to put everything away immediately after we are done with it. If we don't, constantly working around those items gets old really quick! We can't travel like we're on vacation when we're not on vacation. As much as we would love to take in every museum, restaurant and point of interest, we have to limit our time exploring so we have time to work. There will be plenty of time to see and do everything, just maybe on a future stop. We can always visit again! Healthier living doesn't just happen. We still have to make it a point to be active. Living on the road doesn't make us healthier. It gives us opportunities to be active, hike, bike and kayak. But it's still really easy to sit at the computer all day. We have to make a point to eat right and get our exercise. Simple, every day tasks sometimes take planning. Simple tasks like grocery shopping and laundry can require planning when you are a full-time traveler. Sometimes we shop for groceries on our way to our next destination (as long as they have a large enough parking lot). Other times we take the Jeep to town to load up on the essentials before we pack up. You can learn a lot from the locals. 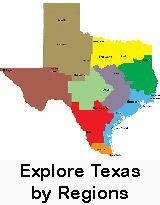 We've always encouraged folks to talk to other RVers to learn about interesting places to go. But we've also learned you can learn a whole lot from talking to the locals in the area you are visiting. They can help point you to the non-tourist restaurants and shops and share what makes their town unique. Some campsites will surprise you. Until you've visited somewhere, you never really know what to expect. We were surprised to find a city park with full hookup RV sites and a great wooded walking trail that was lit at night. We also enjoyed a hidden gem of a county park that had full hookups and laundry on site! Roadtrip to Quitaque TX for Bison Fest! Picking Up Our New RV!